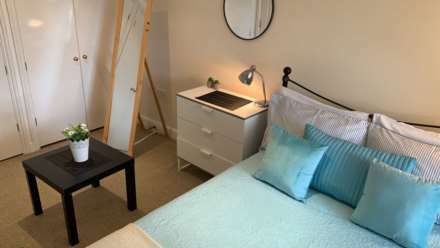 SUPERB HOME FOR STUDENTS OR PROFESSIONALS IN CLEAN AND TIDY HOUSE. Room 2- Avail: Let agreed! TOP QUALITY ROOMS IN PROFESSIONAL HOUSE SHARE: Fully furnished and serviced. 1. ALL BILLS: Gas, Electricity, Water, Council Tax, TV License, BT Infinity/Virgin (Fast Fibre Optics) Wireless Broadband. 6. PROFESSIONALLY MANAGED and FULLY MAINTAINED by our professional team. We are qualified Professional Property Management Agents and Landlords with a Certificate of Accreditation from the Guildford Council. You are still responsible for tenant-related household living maintenance. 1. 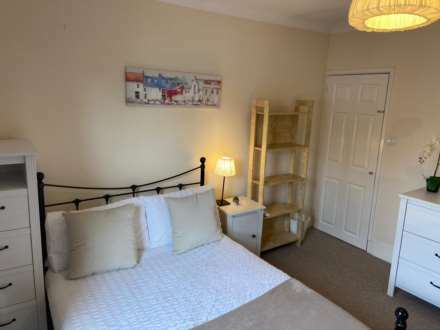 Quality Furnished Single and Double rooms in a quiet 3-5 bed household. 3. Personal Privacy in your rooms and only need to share communal areas as necessary. Locks provided on bedroom doors in some of our houses. 4. Excellent public transport by bus Approx. 15-20 min to the town center. 5. 5-15 minutes by car depending on traffic. 6. Walking distance 5-40 minutes depending on location. Please check on google maps. Other similar quality professionals or mature working students, aged from 20-45. Everyone has to pass our stringent referencing checks so you can rest assured you are sharing with good quality people. Occasionally in some houses, we take short-term Air BnB guests to fill a void as we are recognized as good hosts with a high standard of accommodation and service. So we are able to cater for overseas bookings via our online booking application and SKYPE OR WATTSAPP VIDEO interview. TERMS: Preferably 12 month let, which is renewable. Students: Minimum 12-month contract. A replacement may be found if we agree and early marketing charges are paid. If a suitable replacement is found you may be released from your contract early. A UK based guarantor is required or advance payments with the relevant break clauses added to the contract. Students are required to pay £1000 minimum for the deposit due to increased risk. 1. DEPOSIT: One month deposit for professionals and a minimum £1000 for students, payable in advance, which may be payable over two months, by agreement. This will be kept in the DPS if you stay for at least 6 months or in a safe client account for shorter term lets. You may apply for a ` no deposit scheme` with a relevant insurance supplier provided you keep up the monthly payments. 2. References/Admin Fee: £250 depending on risk and insurance required. You must provide proof of the right to live and work/study in the UK. Students to provide their student certificates. 3. If a Guarantor is required: £75 extra. They must be UK Based. Alternatively, you may pay in advance with the relevant break clauses included. 4. Check out costs: £200 apply at the end of the contract to cover the check out procedures and to include a professional end of tenancy clean of the room to return it to the same condition as received. This is taken from the deposit. You will have a Conventional Room AST Contract and will need to abide by the house rules for a happy home environment. No smoking is permitted in the house. It is all about lifestyle, Isn`t it? 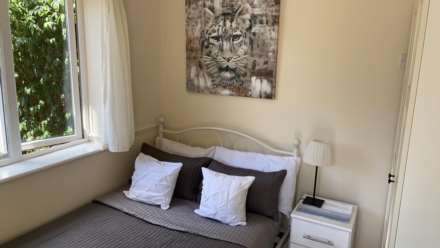 So if you like the idea of TOP QUALITY in A FRIENDLY HOMELY ENVIRONMENT at AN AFFORDABLE PRICE, then this type of accommodation is absolutely ideal for you. Rooms can go very quickly so it is wise to contact us early and secure your room or you may be disappointed. If you are abroad or far away and would like to secure your room without a viewing, we can do that via a Skype call or Whatsapp video call and once all the necessary checks have been ratified, we can agree your contract and secure payment all online. We have electronic contracts which can also be signed electronically. So save time and money and book your Skype/Whatsapp call today. FOR VIEWINGS: Please email or call us ASAP to book your viewing giving all the relevant information above. You may also book online on our web site New Leaf Homes. We can do viewings Weekdays from 10-6pm or Sat 10-12pm. We like to give the tenants 24 hrs notice preferably. We look forward to hearing from you as you are important to us. Please use the post code GU1 1JJ with your sat nav.